We’re very proud to announce that WISE Employment is again sponsoring the Victorian FIDA (Football Integration Development Association) Football League Metro Conference, governed by AFL Victoria, in 2019, for a second consecutive year. The Victorian FIDA Football League provides Victorians who have an intellectual disability the opportunity to participate in Australian Rules Football at a competitive level. 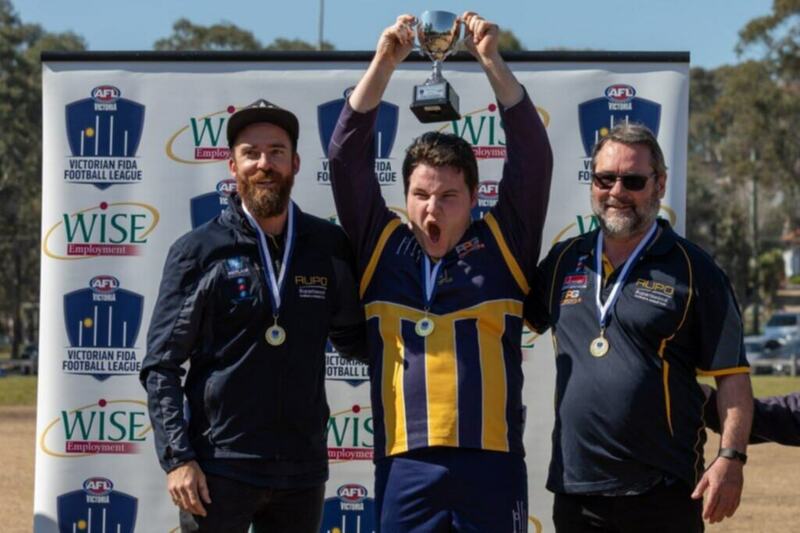 The partnership with WISE will encourage people with a disability to play Australian Football at a competitive level, and assist them to find employment across Victoria, as demonstrated by former WISE job seeker Steve Odgers who secured his dream role with AFL Victoria in 2018. WISE Employment has been providing support and opportunities for meaningful employment to job seekers with a disability since 1992. Open to Victorians aged 14 years and over who have an intellectual disability, the Victorian FIDA Football League includes four metropolitan divisions and two regional conferences across Victoria. AFL Victoria’s Disability Programs Manager, Scott Nicholas, said the extension of the partnership was an incredibly exciting result for the FIDA Football League. “We’re really thrilled to have the support of WISE Employment once again and are looking forward to working closely with them to ensure that the Victorian FIDA Football League – and all its participants – have every opportunity to succeed on and off-field in 2019 and beyond. “WISE have increased their support of Victoria’s teams at the National Inclusion Carnival by supporting VIC METRO again and VIC COUNTRY for the first time when the teams travel to Blacktown, NSW in July. Content adapted from article by AFL Victoria.